Take a wintertime aerial tour of Turkey's Kars province, compliments of contributor and drone pilot jesus_tr. Kars is one of the provinces in the northeastern part of Turkey, a mountainous region which borders Armenia and which is home to some of the best ski slopes in Turkey. The video was shot as part of a trip on the Doğu Ekspresi, a train which runs about 1.3k km (around 800 mi.) from the Turkish capital Ankara to the city of Kars, the province's capital. Description: Kars is one of the world’s two most prominent skiing centers due to its crystal snow. (Train is called Doğu Ekspresi, it starts from Ankara (capital city) middle of Turkey and goes to Kars (eastward) in 24 hours amazing journey. 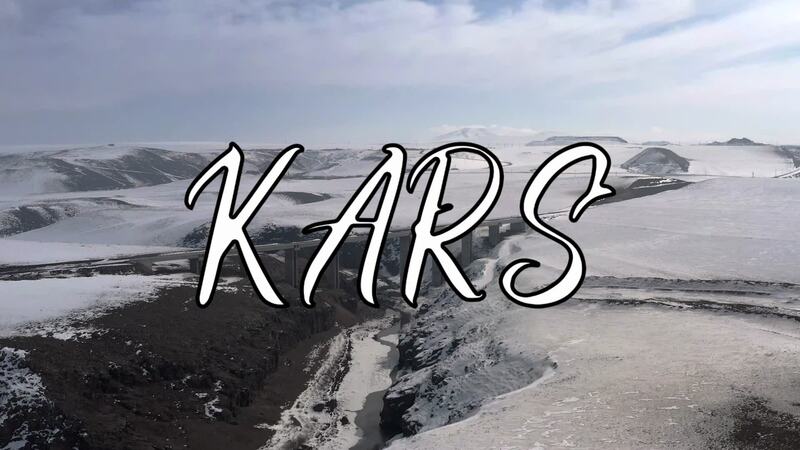 Kars, standing at an altitude of 1,750 meters (5,741 feet) in Eastern Anatolia, has played an important role in Turkish history and was at the center of the Turkish-Russian War between 1877-1878 after which it remained under the Russian rule for about 40 years. The Russian legacy can still be seen in much of the town's architecture. The lower city unfolds at the foot of an impressive Seljuk fortress of the 12th century. Nearby, the Havariler Museum (the 10th century Church of the Apostles) reveals a curious mixture of architectural influences. Bas-reliefs representing the twelve apostles in rather stiff and awkward poses, ring the exterior drum of the dome. The Archaeological Museum houses beautiful wood-carvings, an excellent collection of coins found in the surrounding region, as well as many ethnographic items relating to eastern Turkey. Kars is particularly known for its distinctive kilims and carpets, and it retains a strong heritage of folk dancing. Visitors always seem to enjoy this traditional entertainment. On the mountain pastures, villagers produce excellent Kasar cheese (yellow cheese) and delicious honey. The Kur river divides Ardahan and separates the ancient part on one side and the new city on the other. A 16th century castle built by Sultan Selim the Grim, one of the most stately citadels in Turkey with 14 towers and a span of 745 meters, stands in the old part of the city. Sarikamis (53 kilometers southwest of Kars) is a skiing center with resort hotels, setting of a scenic pine forest. It has the best powder snow in Turkey therefore it attracks many snowboarders and skiers around the country and abroad. Katherina hunting mansion in Sarikamis district is one of the best examples of the Baltic architecture from the 19th-century Russian rule in the area. The mansion is built with cut-stones without any nails or metals joining the basalt blocks.